We’d love your help. 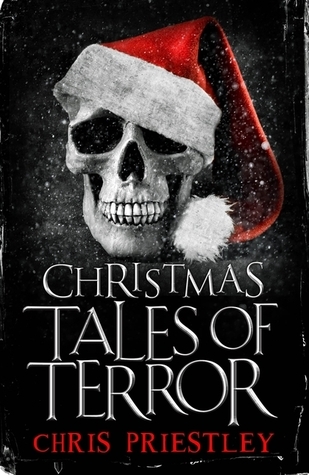 Let us know what’s wrong with this preview of Christmas Tales of Terror by Chris Priestley. From malevolent snowmen to Father Christmas - with a difference ... Chris Priestley is on absolute top form in these atmospheric, clever and thoroughly chilling stories. Add a new kind of thrill to the fluffiest of seasons with seven brilliantly conceived examples of why you'd better be good at Christmas time. 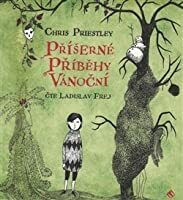 For stories which can be enjoyed by the whole family, unwrap th From malevolent snowmen to Father Christmas - with a difference ... Chris Priestley is on absolute top form in these atmospheric, clever and thoroughly chilling stories. Add a new kind of thrill to the fluffiest of seasons with seven brilliantly conceived examples of why you'd better be good at Christmas time. For stories which can be enjoyed by the whole family, unwrap these perfectly formed festive tales of terror, each with a gripping yarn and genius twist. To ask other readers questions about Christmas Tales of Terror, please sign up. Why do only Czechs get the pretty cover, WHY!? I didn’t find this collection of stories as engaging as Uncle Montague's Tales of Terror and Tales of Terror from the Black Ship by the same author. This novella includes 7 short winter tales. All of them occur on or around Christmas. Although none of them are what I would call scary, they do have that delightful Victorian ghost story feel about them. A nice little distraction for the holidays. Čekal jsem atmosférickou nálož chytrých povídek z prostředí Vánoc. Dostal jsem sbírku předvídatelných a prvoplánových příběhů, u kterých jsem měl pocit, jako bych si četl slohovky studentů středních škol. Žádné velké zápletky, žádná překvapení, nuda, šeď. Aspoň, že to rychle skončilo - každá ze sedmi povídek se dá přečíst za nějakých pět, deset minut. Jen ta vánoční atmosféra to trochu zachraňovala. Předvánoční jednohubka s příjemně mrazivou atmosférou. 2.5. Not as engaging as “Uncle Montague’s Tales of Terror,” and I missed having a frame story. I also felt like several of the stories were incomplete in some way. Perhaps this is because the “ghoulish twist” was often explained after the fact, therefore many of the stories lacked tension during the telling. Though this technique can work to great effect in some cases, and Priestley wielded it well in ‘The Gilt Frame’ in “UMToT,” the ultimate reveals in this collection were not striking enough t 2.5. Not as engaging as “Uncle Montague’s Tales of Terror,” and I missed having a frame story. I also felt like several of the stories were incomplete in some way. Perhaps this is because the “ghoulish twist” was often explained after the fact, therefore many of the stories lacked tension during the telling. Though this technique can work to great effect in some cases, and Priestley wielded it well in ‘The Gilt Frame’ in “UMToT,” the ultimate reveals in this collection were not striking enough to have merited saving the explanation. The best of the bunch, to me, was ‘The Snowman,’ and I enjoyed the church choir tale—though a bit more backstory about singing in a graveyard would not have gone amiss there. The worst tale was ‘The Green Man,’ perhaps because it had so much potential, but several elements in the tale (such as Stephen’s visit to the hill) made little sense given the end. I do not usually read horror or terror genre stories and novels, but was in the mood for something to read for the Christmas holidays. This short story work by Chris Priestly was available as an Overdrive selection from my local library's e-book collection. While in my experience, short stories can often be bereft of detail, sacrificing descriptive language for the sake of telling a complete story within the confines of the "short" story space, Priestley's tales were well-written to provide enou I do not usually read horror or terror genre stories and novels, but was in the mood for something to read for the Christmas holidays. This short story work by Chris Priestly was available as an Overdrive selection from my local library's e-book collection. While in my experience, short stories can often be bereft of detail, sacrificing descriptive language for the sake of telling a complete story within the confines of the "short" story space, Priestley's tales were well-written to provide enough setting that readers can imagine themselves "there." The tales all seemed to be set in earlier times--perhaps Victorian or Edwardian--but certainly at a time when horses and carriages/sleighs were the primary mode of local transportation. To me, using a Dickensian setting for Christmas--playing off of the familiarity of many to "A Christmas Carol"--certainly seems appropriate and allows the stories to "feel" more in the holiday spirit. Each story introduces several characters and describes events and occurrences until the story rushes to an unexpected end. Each is different and stands apart; these are not cookie cutter copied stories. Co jsem to sakra právě dočetla? :-O :-D Takovéhle creepy příběhy pro děti jsem už dlouho neviděla. Bylo to poněkud zvrácené, ale stejně jsem si to užila. Loved this collection as I also do with Chris Priestley's other books. I only wish it was longer. I read this during Christmas season. Needless to say, it was perfectly eerie and creepy. These are a bunch of Christmas themed short terror stories for kids. Some may end up better than others. Or not. Some will creep you out more than others. They are also beautifully constructed. I'm looking forward to reading his other works! The title pretty much says it all - Priestley continues his Tales of Terror series with seven stories set around Christmas. These are meant for children, so they're unlikely to actually frighten you (and they aren't as scary as some of the previous installments in the series...) but the author's style is masterful, and there's always a ghoulish twist. Perfect as an easy winter read. Love it, love it, LOVE IT!!!!!! WONDERFULLY spooky, creepy stories for the festive season! Just wish there were more! Can't get enough of Mr. Priestley, he writes his gothic, creepiness sooo beautifully :-):-):-):-):-) There's no-one else quite like him. Mno nebylo to špatné. Že by to bylo nějak převratné dílo, to se říct nedá, ale povídky mě bavily a měly rozhodně solidní atmosféru. Takže pokud si chcete oddechnout a zároveň být tak trochu napnutí, Příšerné příběhy vánoční jsou to pravé strašidelné. I liked this book because it was like the old fashion scary stories. Some great little spooky tales for Christmas. Read them just before you go to sleep, by candlelight, while a chill winter wind whistles outside and tree branches tap tap at your window. It has been 3 years now that I've planned to read this book in the Christmas period and each time I completely forget about it at that time of year. Well this year I came across it in January and I thought, close enough, let's do this. I was hoping that this book would follow the same format as the other Tales of Terror. So one story that binds all the smaller stories together like the story of Uncle Montague in Uncle Montague's Tales of Terror. That was unfortunately not the case. The stories d It has been 3 years now that I've planned to read this book in the Christmas period and each time I completely forget about it at that time of year. Well this year I came across it in January and I thought, close enough, let's do this. I just discovered Priestley's Tales of Terror even though he's been around for awhile. I'm a little slow on the uptick. I'm enjoying them greatly and still wondering why the judge for horror fiction said my story wasn't horror. I'm not obsessed much, am I? Really liked In the Mid-Deep Winter story in this book. The weakest of the Tales of Terror so far. The stories were ok, but I feel they could all have been fleshed out a little more. These weren't anywhere near as good/scary as the 'Black Ship' and the 'Tunnel's Mouth'. Both of those were excellent. This one felt rushed. The Snowman was my favorite. Čteno potřetí. Tato kniha mi prostě dokáže navodit vánoční atmosféru. Navíc Příšerné příběhy jsou mé dětství. Dokonalá, mrazivá kombinace. Fun little stories. Reminded me of R.L. Stine stories I read as a kid. Christmas Tales of Terror features 7 spooky Christmas-themed tales. From a cursed drummer boy to demented snowmen, this book puts the ho ho ho in horror. This is the 3rd book by Priestley that I have read. His witty and clever horror stories never fail to deliver chilling, spooky joy. The stories are written for middle grade age children, but are complex enough to be enjoyed by adults, too. The stories have scary moments and horrific twists, but there is nothing inappropriate for kids ages 10+. Christmas Tales of Terror features 7 spooky Christmas-themed tales. From a cursed drummer boy to demented snowmen, this book puts the ho ho ho in horror. This is the 3rd book by Priestley that I have read. His witty and clever horror stories never fail to deliver chilling, spooky joy. The stories are written for middle grade age children, but are complex enough to be enjoyed by adults, too. The stories have scary moments and horrific twists, but there is nothing inappropriate for kids ages 10+. I've been on a Christmas reading frenzy lately for some strange reason, and thought I would take a break from Scrooge re-tellings to enjoy some Christmas horror. Glad I did. I haven't yet come across a story by Chris Priestley that wasn't well done. If your kids enjoy scary stories, or if you want an easy spook-filled afternoon read, check out this book, or any of Priestley's short story collections. This book differs from the other Tales of Terror books I've read so far (Uncle Montague's Tales of Terror, Tales of Terror from the Black Ship) in the way the stories are presented. In Uncle Montague and Black Ship, the stories were woven inside another story about a central main character. Christmas Tales just presents the 7 short stories. I enjoyed both formats. The cover art for this book is just amazing! Very holiday horrific! Nejlepší byla asi Hrací skříňka s uhořelými sestrami, zbytek docela předvídatelný, ale plný zimy a sněhu, takže ok.
‘Christmas Tales of Terror’ features seven short stories which revolve around terrifying events that occur during Christmas. They consist of ‘The Green Man’, ‘The Musical Box’, ‘The Snowman’, ‘Frost’, ‘In the Bleak Midwinter’, ‘Soot’ and ‘The Last Present’. The straightforward, simple writing style was effective as it was still descriptive enough thus it was easy to picture the surroundings as well as get a feel of the atmosphere hinting at impending doom. All of the stories had their respective ‘Christmas Tales of Terror’ features seven short stories which revolve around terrifying events that occur during Christmas. They consist of ‘The Green Man’, ‘The Musical Box’, ‘The Snowman’, ‘Frost’, ‘In the Bleak Midwinter’, ‘Soot’ and ‘The Last Present’. The straightforward, simple writing style was effective as it was still descriptive enough thus it was easy to picture the surroundings as well as get a feel of the atmosphere hinting at impending doom. All of the stories had their respective creepy moments. Although I didn’t find any of them to be particularly scary, they would definitely appeal to this book’s target audience namely children. ‘The Musical Box’ and ‘The Snowman’ were my favourites. I always enjoy Chris Priestley's tales of terror and this one was no exception. As I read these I always like them, then later on in the day the story will come back to me and I'll ended up really loving it. Which makes these books really great, you don't just forget them after your done. There are some nice spooky stories set around Christmas in this one that are sure to give you a chill. I think I liked Soot most of all, but I really did enjoy all seven stories. The only thing I will say, is I always enjoy Chris Priestley's tales of terror and this one was no exception. As I read these I always like them, then later on in the day the story will come back to me and I'll ended up really loving it. Which makes these books really great, you don't just forget them after your done.